Rating for Refrigeration indicates the rate of removal heat. 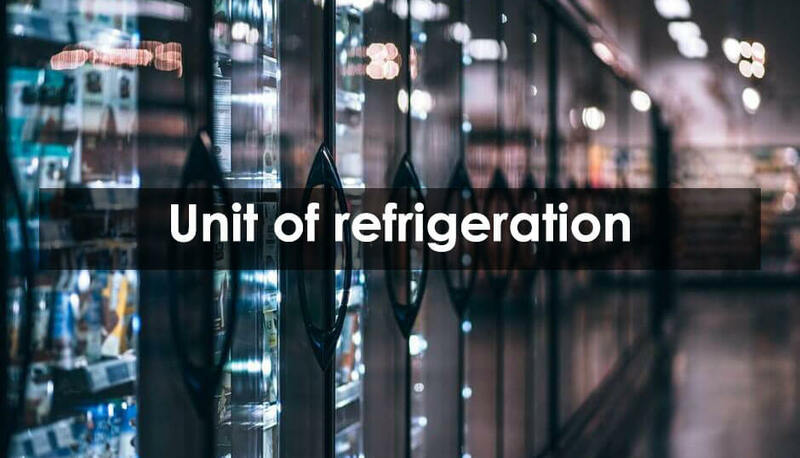 The unit of refrigeration is expressed in terms of ton of refrigeration (TR). One ton of refrigeration is defined as the amount of refrigeration effect (heat transfer rate) produced during uniform melting of one ton (100kg) of ice at 0°C to the water at the 0°C in 24 hours. Theoretically one Ton of refrigeration taken as 232.6kJ/min, However in actual practice, it is taken as 210kJ/min.